These leggings are probably the most statement thing I own. They are lightweight, so good for cool summer nights, but also thicker than tights so a good replacement for them in the winter. 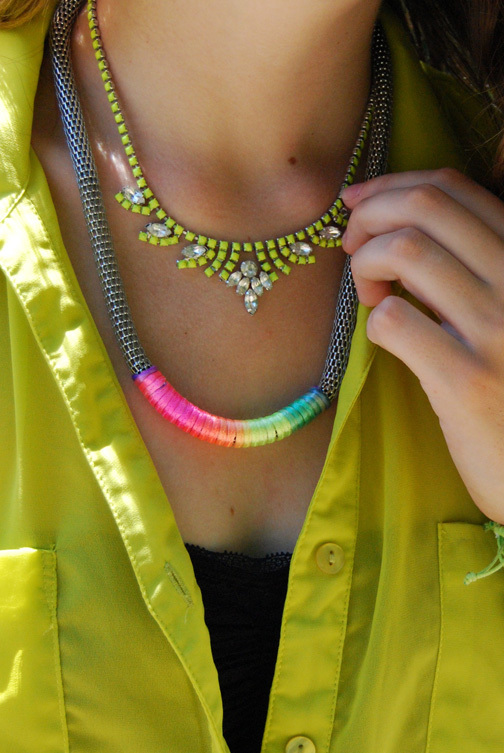 I went statement with this styling with my neon jewelry and top, but I can see myself wearing them with all black and white! Today is the third day in my CRAZY SUPER AWESOME week of giveaways! What can you win this time? These orange ikat leggings in a size S/M (same size I'm wearing above). Check out the other giveaways HERE. Oh man...I seriously want to win this giveaway...aha those ikat leggings are just too crazy and colorful for me to pass up on! Can't wait to see the results on all these giveaways! Haha, they're awesome! I love all your accessoiries! Those leggings are amazing! They're so cool, and I love how you styled them! I'll definitely enter this one as well! Yay for switching to blogger! Awesome outfit! :) I love all your accessoiries! 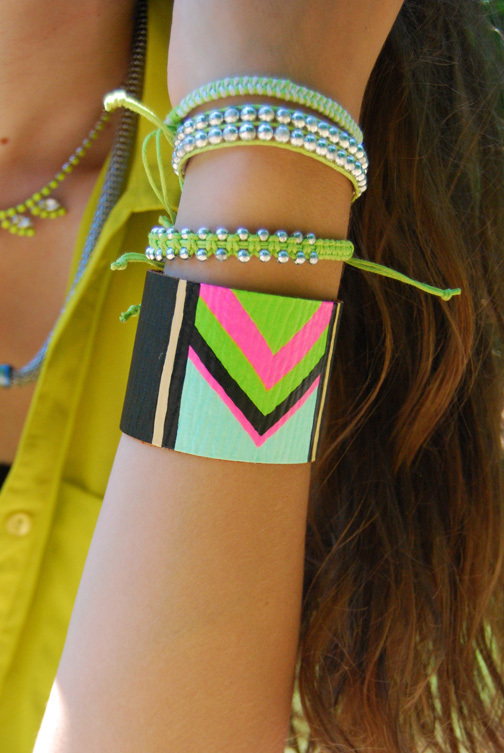 I love this tribal look! very Chic! Your bracelets are so awesome! And I love how you styled the leggings with the bright yellow top! You pull off the printed pants so well. Your legs look a mile long.